My 5 Android apps of the week are new or updated apps on the Play Store that are popular or trending. Some of the apps this week are ones that I personally use and enjoy so I talk about how I use the app and why I like it. All the apps this week are free or have a free version so if you are looking for some news apps for your Android device then you should read below to see if you like the apps of the week. Rockmelt has been a popular app on iOS for some time and now has come to Android. Rockmelt changes the way you get your news and social updates. Rockmelt collects storied from web, news, and blogs to give you a personalized dashboard. Rockmelt connects with social networks to allow you to view your Facebook timeline and follow friends and websites to stay updated on all the latest news and memes. Rockmelt helps you navigate all the stories by organizing it into categories of things you may care about, based upon your preferences. The Rockmelt is really optimized for reading on a tablet but it works well on a phone as well. If you are looking for an app that will keep you connected and allow you to view news stories differently then you should check out Rockmelt free on the Play Store. Duolingo is a popular language learning app that just received an update to make it even better. Duolingo offers lessons in Spanish, French, German, Portuguese, Italian, and English. Duolingo starts you at the basics of the language and you work up to more advanced words and phrases. Duolingo offers a great gamification feature to keep you learning and you stop thinking of it as learning but as playing a game. You get hearts or lives and you want to keep your hearts to get through a lesson. 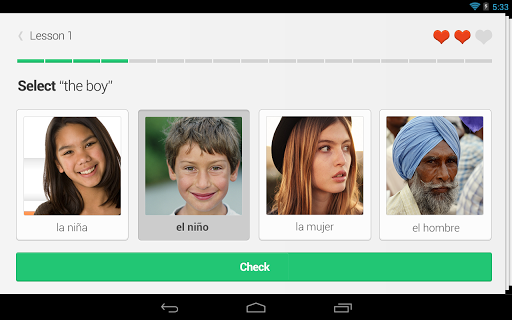 The app works on using speech and image to help you understand and remember the language. The latest update has included tablet optimization in the app and new leaderboards for players so you can compare and compete with other Duolingo users. 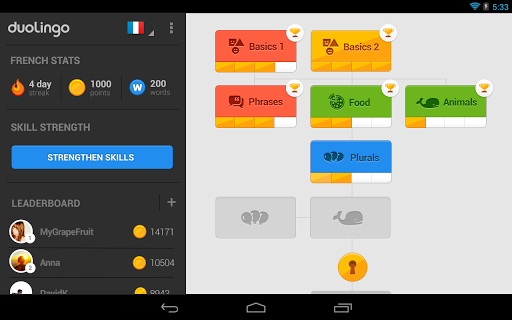 Duolingo is a great free app for anyone who wants to learn a new language so check it out at the Play Store. 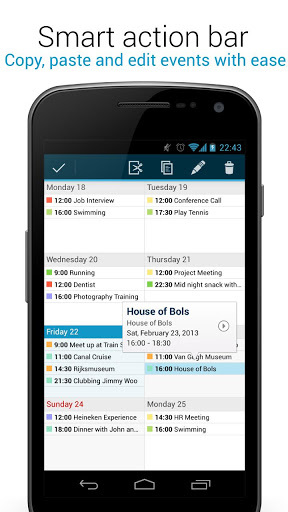 If you are someone who relies on a calendar to keep yourself organized and prepared for events it is important to have a good calendar on your Android device. While the stock Google Calendar is good, there are some features that are missing. DigiCal is a great Calendar app with lots of options including widgets. DigiCal can connect to your Google, Exchange and other calendars. DigiCal offers tons of different widgets of every size so you can have your calendar on a homescreen without taking up too much space. DigiCal is the most flexible and customizable calendar app available so your calendar works for you however you want it to be shown. You can add appoints right on the widget without having to open the app to save time. The DigiCal app looks even better on tablets because it is best used in landscape. DigiCal follows the Android Holo design so it will fit in with the newer Android OS. The app even works with locations and Google Now so you can add locations for events and Google Now will get you there. DigiCal has both a free and a paid version which includes more features and options for your calendars. For a full review of the DigiCal app and all the different features check out this Android Headlines review. 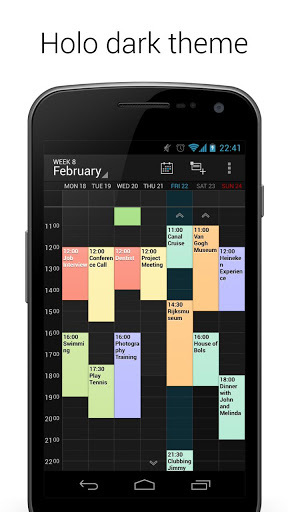 DigiCal is a great app for anyone who wants more calendar features and can be downloaded for free from the Play Store. 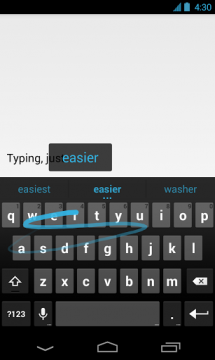 Google Keyboard makes typing on a phone or tablet really easy with word recognition and it swipe feature to type. One of the feature I use a lot is the voice typing which has a very good voice detection to type the words you are speaking. 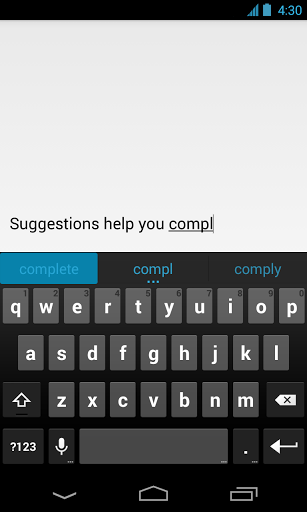 The word suggestions are very helpful and it learns the more you type so the suggestions get better the more you use it. If you have tried keyboard replacements this is definitely an app for you to download because I think the Google keyboard is one of the nicest Android keyboards. The app is free and can be downloaded from the Play Store so check it out and see if you like it. Vodio is an app on the Play Store that wants to be your own personal online video curator. When you start Vodio you choose what category of videos you are interested in and the app brings you the latest videos for each category. The app makes finding cool new video so much easier. Vodio will also continue to adjust your personal channels depending on what videos you watch. You can easily share the video you are watching to Facebook and Twitter. Vodio will also show you want your friends are watching online. The app makes it easy to scroll through and find video on both Android phone and tablet. Vodio also brings you the top videos from all over the web so you can stay updated on all the latest news and viral videos. Vodio tracks videos as they’re shared by thousands of people and sources around the world, and organizes them into categories, including: most popular, entertainment, tech, music, sports, news, comedy, science and more. 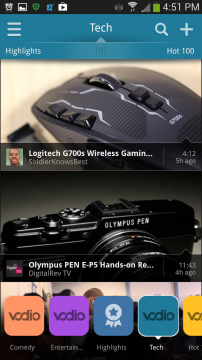 You can quickly swipe through the different channels to find a video you want to watch. The app is really smooth and has an beautiful interface and design. 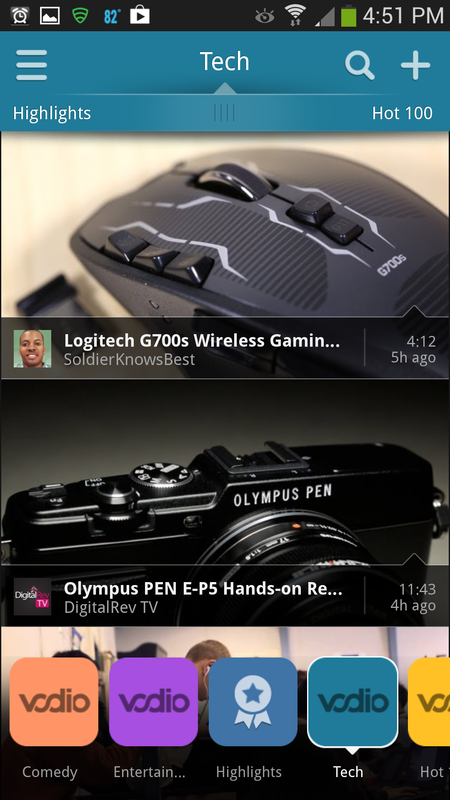 If you like to watch the latest videos then Vodio is a great app to check out. You can download the app for free from the Play Store. So these are my top 5 apps of the week I hope you have been able to find apps to download. Unlike last week there were no games in this week apps, but the apps are very different. This week there was a news app, a language app, a calendar app, a keyboard app, and a video curation app. A wide range of apps this week. 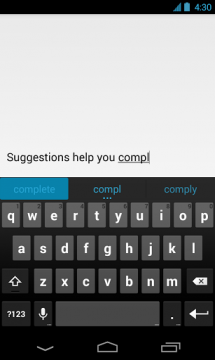 In case you missed them here are last week’s top Android apps. 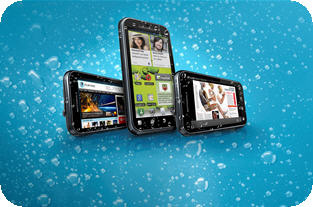 Hope you enjoyed the Android apps of the week and check out some of my other posts. Let me know if you have any suggestions for Android apps that you are using. Thank you for letting me know I am glad you liked the post. Thank you for giving me the list of suggested apps I will have to try those out! The apps are right, but can you please let me know what app u prefer ? I think the app I prefer over the reset of the apps of the week would be Vodio because it shows me all the viral videos on the Internet.